Discover more about us ! 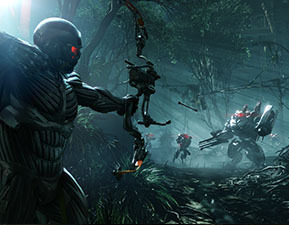 ... initially we primarily played AA2, BF2142, CS:S and Guild Wars. We have played those games mainly on public servers and in fun wars and we have never dipped seriously into any league gaming. Today we understand ourselves as a community with an embedded VIP-Team called Team [eSC], which mainly consists of longstanding members. The attribute esport is one which we interpret also in the sense of being sporty by practicing good sportsmanship in gaming environments and in our case rather as amateur and hobby gamers. 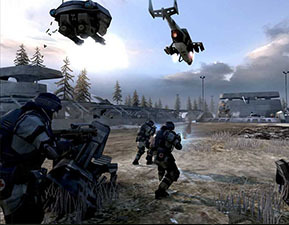 BF2 and BF2142 with their team-class-orientated gameplay generated a lot of fun for us, explicitly including the Titan gamemode. Occasionally, we still play the Battlefield series. ... a very popular shooter. 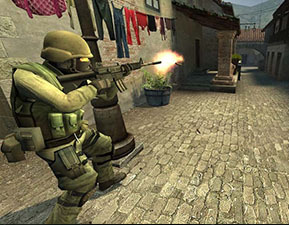 Like most communities, we also played CS 1.6 and CS:S. A few players might still remember our very popular glassassaultii CS:S server. ... a different tactic shooter. Unlike many other shooters, AA2 takes its aspiration of being a tactic shooter very seriously and we appreciate it for that	. Sometimes we still play AA2 via AA25Assist ! ... are games which we also played with a lot of fun. Guild Wars is a MMO, which had taken a firm place in our small community since the beginning in 2006. 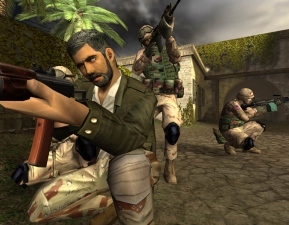 In 2007, we played some beta games together like the Crysis MP with its great ingenious gamemode Power Struggle, the interesting Team-Shooter Enemy Territory: Quake Wars and Frontlines: Fuel of War. Furthermore, Command & Conquer and Unreal Tournament have always had a place in our community. You need help in one of the most challenging MMOs ? 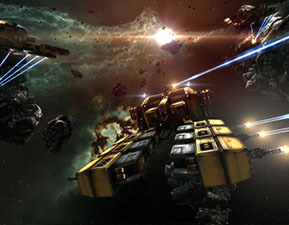 We are partner of a german EvE-Online Alliance. ... new games in the branch. Although we keep on playing old titles, we are always looking for new games to explore and play. Besides the big publishers, many indie studios are in a position to serve customer desires apart from the mainstream. ... a rare combination ? Bad behaviour toward other people has become an apparent social symptom. 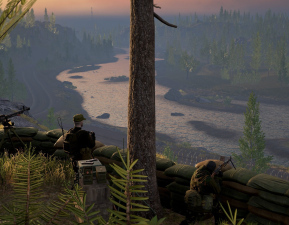 We feel challenged to give players a home to enjoy some relaxing playing time. ... should be treated seriously in our society. Regardless of whether a game encourages one to serious contemplation or is merely entertaining, it should be recognized as a serious cultural property in our society and treated as such. As regular players, we see it as our task to improve the understanding of interactive entertainment. Therefore we also look forward to interlocutors who previously have not had much contact with gamers and gaming.